What’s the hottest (and I don’t just mean spicy) food trend? 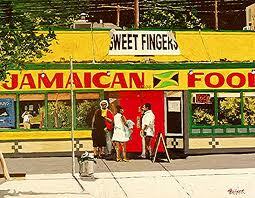 Jamaican Cuisine. With so few Jamaican restaurants in the UK, this craze may drive you to seek out authentic dishes. In Jamaica, there’s more on offer than local food: checking out out the island’s vibrant music scene, sea-snorkeling, or simply relaxing on the crisp sandy beaches are just a few of the reasons why a record breaking 3.07 million visitors travelled there in 2011. Here are a few fun facts – Jamaican style. The fourth largest island in the Caribbean boasts a cuisine that is full of intense flavours. Jamaican food tends to be spicy, delicious and rich. If you have spent an active day swimming in the sea or in the pool, one of the regional curries is a good place to start exploring the food. Curried chicken uses a traditional blend of spices complemented by lime juice and scotch bonnet chilli peppers that give it a distinctly tropical flavour. Another Jamaican favourite is curried goat, which uses garlic and ginger to get its delicious taste. Being an island, seafood is at the heart of Jamaican food. Why not hire a boat to take a fishing trip and enjoy a seafood dish in the evening, during your stay? Saltfish fitters, deep fried in a chilli batter, are a popular starter. The wonderfully named mackerel run down is a dish that is served in coconut milk, with dumplings and green bananas. There are few meals that are as Caribbean in flavour. Exploring the island, you will undoubtedly notice many of the tropical fruits. No holiday in Jamaica would be complete without sampling mango juice, a local favourite. Also worth checking out is the juice of sour-sop, a fruit that grows all over the region and South America. The flavour is something like strawberry, pineapple, coconut and citrus all in one. If you’re short on time, or perhaps a bit hungover, sample some fast food. Yes, I said fast food! But one could hardly place these simple yet tasty lobster Patties on the same scale as a Big Mac. Patties are often turmeric flavoured pastries, and no matter the diet, there is no end to fillings. One more thing you should try: A Patty stuffed in Coco bread. Jamaicans often use a patty as the filling in a coco bread sandwich. Have I tempted you? If so, you may be tempted to check this link for the best flight deals to book your next holiday. This entry was posted in Uncategorized and tagged cookery, jam, local food, travel, travel deals on 28 August, 2012 by adminfw.